Multi-awarded MHSS student gymnast Akhira Bint Afghani P. Alonto brought home awards from the recently concluded 2019 Philippine Cup organized by Club Gymnastica. Malayan High School of Science (MHSS) student gymnast Akhira Bint Afghani P. Alonto brought home several awards from the 2019 Philippine Cup held last March 3 at the Rizal Memorial Sports Complex. Alonto, a Grade 9 student, placed second runner-up for the individual all-around category. She bagged a gold medal in uneven bars and silver medals in vault and floor exercise, and placed fourth in balance beam. These awards are the latest additions to Alonto’s achievements in gymnastics. She had competed and won in Milo Little Olympics 2017 and Palarong Maynila 2016. 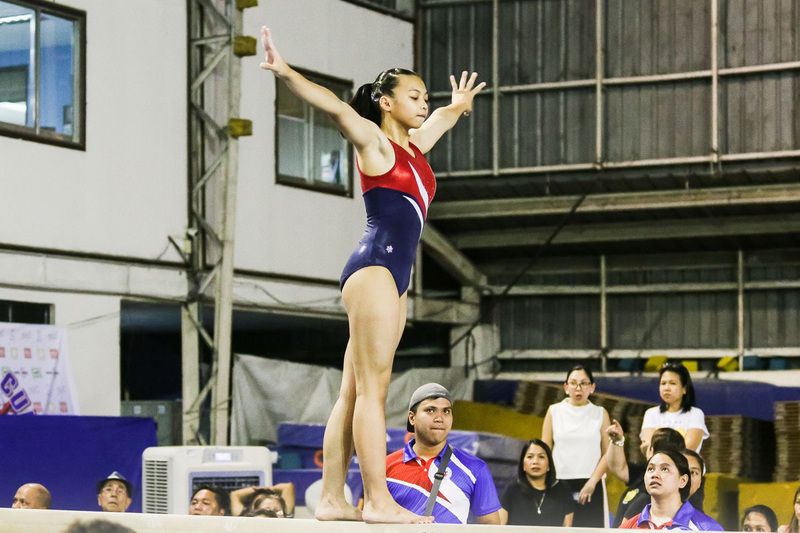 The recently concluded Philippine Cup was facilitated by Club Gymnastica, which also organizes national gymnastics clinics and has produced elite gymnasts that garner awards in local and international competitions. Established in 2006, MHSS is one of the leading science high schools in the country. Promoting the holistic learning of its students, Malayan Science provides them with avenues to showcase their talents and skills in various fields like science, mathematics, robotics, sports, and arts.